NordVPN vs PureVPN vs NordVPN vs PureVPN 2019 - 5 Tests, 1 Winner! NordVPN and PureVPN are widely considered as two of the most popular VPN providers available to users today. Both providers are located in VPN friendly countries with NordVPN in Panama while PureVPN is located in Hong Kong. Subscribers to NordVPN can make a maximum of six simultaneous connections across several devices while PureVPN only allows for five. With regards to pricing, NordVPN has better plans whether you choose to go long term or month by month. In addition, NordVPN offers a 30-day money back guarantee while PureVPN only manages to offer a 7-day guarantee. However, PureVPN offers a lot more ways to pay for its subscription than NordVPN. Finally, both VPNs provide a 24/7 human customer support service that responds in real time. 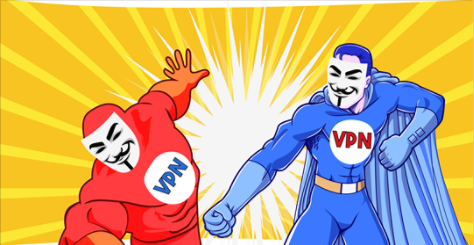 If you’re still split for choice and are wondering which of these VPNs is more suited to your needs, you should read on. NordVPN is one of the most popular names out there. Great balanced service Nord vpn for me works well, it's easy to use and it's not so expensive. It allows to unblock restricted games and access locked servers, which is great. I would definitely recommend it for streaming and torrenting and for those people who do not know much about security, but want to keep their data safe. Launched in 2007, Hong Kong based PureVPN is one of the oldest providers on the VPN scene. It’s packed to the gills with features and quite an impressive mix of cybersecurity features at a relatively low cost. So, how does PureVPN stand out? What are the highs and lows of this VPN? Time to see what’s under the hood. BBC no problem Having used PIA, Express, and Air, I had to give up on them all as I wanted to reliably watch the BBC, only Pure hasn't let me down in this regard. I have always had good support. Speed can sometimes be a problem, but I ALWAYS get onto the BBC iplayer to download. NordVPN is widely considered by users as the best overall VPN because of its reliability, pricing, and the emphasis it places on security. Even so, PureVPN has servers in 140 countries, making it one of the most sought-after VPNs on the market. NordVPN is offering some amazing coupon deals at the moment - don't miss out! Best VPNs for Torrents PureVPN offers unlimited bandwidth regardless of the plan you choose making torrenting and p2p streaming stress-free. NordVPN offers dedicated servers for downloading torrents making it ideal for BitTorrent users. PureVPN offers unlimited bandwidth regardless of the plan you choose making torrenting and p2p streaming stress-free. NordVPN offers dedicated servers for downloading torrents making it ideal for BitTorrent users. Best VPNs for Windows NordVPN for windows is easy to install and most importantly straightforward to use. PureVPN, on the other hand, is very intuitive and user-friendly on Windows computers. NordVPN for windows is easy to install and most importantly straightforward to use. PureVPN, on the other hand, is very intuitive and user-friendly on Windows computers. Best VPNs for Android NordVPN’s Android application provides fast and secure access to over 3000 VPN servers in 60 countries with military grade encryption. Meanwhile, PureVPN offers its users antivirus protection, content/web filtering, app blocker and DNS protection with its Android app. NordVPN’s Android application provides fast and secure access to over 3000 VPN servers in 60 countries with military grade encryption. Meanwhile, PureVPN offers its users antivirus protection, content/web filtering, app blocker and DNS protection with its Android app. Best VPNs for Mac NordVPN supports a MacOS app designed to benefit Mac Users. Apart from the browser extensions on Firefox and Chrome, PureVPN provides a dedicated app for Apple’s Mac making it highly compatible with their range of Desktops and Notebooks. NordVPN supports a MacOS app designed to benefit Mac Users. Apart from the browser extensions on Firefox and Chrome, PureVPN provides a dedicated app for Apple’s Mac making it highly compatible with their range of Desktops and Notebooks. Best VPNs for iOS NordVPN works seamlessly with all iOS devices and has its double VPN encryption integrated into the app. PureVPN also guarantees data security and an equal level of service as their desktop apps. NordVPN works seamlessly with all iOS devices and has its double VPN encryption integrated into the app. PureVPN also guarantees data security and an equal level of service as their desktop apps. Best VPNs for USA With 1336 servers (including dedicated IP servers) located in the US, NordVPN is set up to deliver excellent VPN services across the USA. PureVPN, on the other hand, has 750 servers in 140 countries including the U.S.A.
With 1336 servers (including dedicated IP servers) located in the US, NordVPN is set up to deliver excellent VPN services across the USA. PureVPN, on the other hand, has 750 servers in 140 countries including the U.S.A. If you’re interested in using a VPN server from one of the countries outside the 60 provided by NordVPN, then PureVPN is the winner. You should also benefit from their superquick support and their servers located in 140 countries. Nord vpn for me works well, it's easy to use and it's not so expensive. It allows to unblock restricted games and access locked servers, which is great. I would definitely recommend it for streaming and torrenting and for those people who do not know much about security, but want to keep their data safe. Having used PIA, Express, and Air, I had to give up on them all as I wanted to reliably watch the BBC, only Pure hasn't let me down in this regard. I have always had good support. Speed can sometimes be a problem, but I ALWAYS get onto the BBC iplayer to download. NordVPN won our Best VPN Award for the second time this year. This should tell you enough about the quality of this service. In case it doesn’t, here are the facts: NordVPN is fast and super secure, it can unblock almost anything on the internet, it has servers all over the world, and it’s very reasonably priced. Its main flaw is that you can't pay with PayPal. You won’t find a more reliable, trustworthy, and affordable VPN. NordVPN isn’t perfect – but it’s very close.